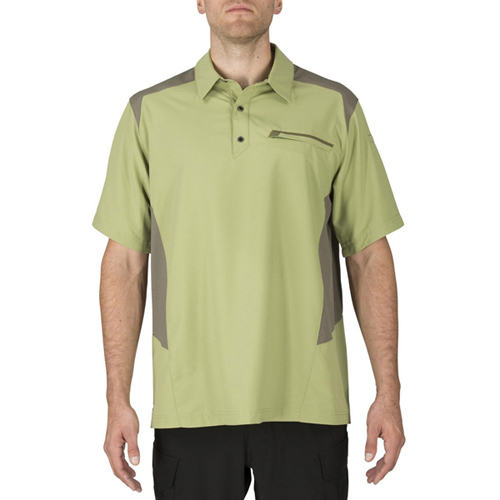 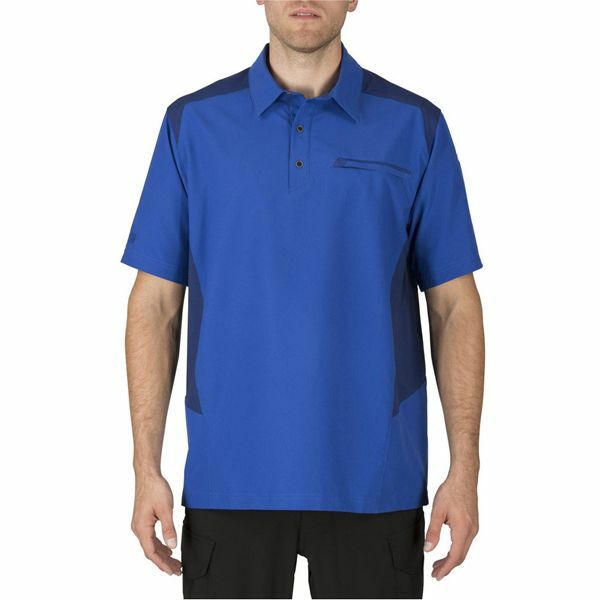 The Freedom Flex Polo offers superior durability, breathability, and comfort. Made from a two-way mechanical stretch fabric that wicks moisture, featuring perforated panels and side vents for enhanced ventilation, this shirt is designed to flex and support you all day. A zippered chest pocket and sleeve pen pocket provide smart storage, while a modern fit, contrast tones, and simple placket maintain a sharp, professional look. 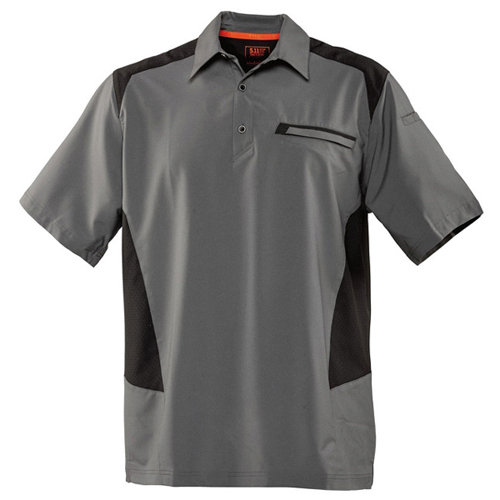 Business casual for those who mean business.